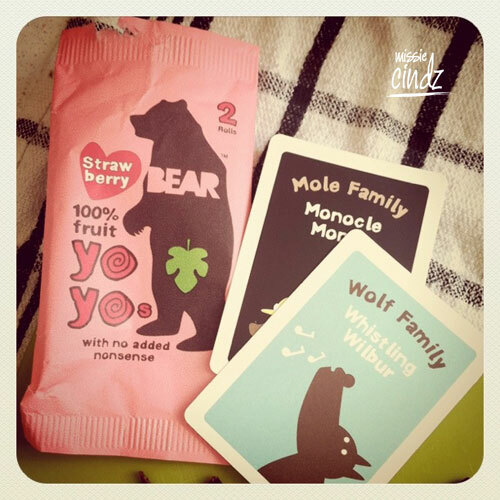 I was sent a selection of BEAR Nibbles to try out (obviously BEAR knew Missie loved all things food-related) and I have to say, I love the modesty of the bear on their packaging! with nice use of typography and a well-thought out colour palette that compliments the type of product it’s selling, so natural look and feel, clear design, and a comfy size – all this won me over and made me smile. 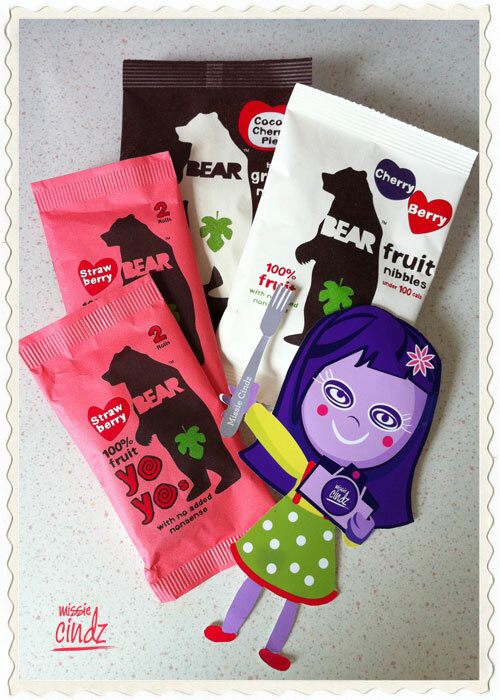 I had never seen the BEAR brand so when these treats came through the post I was very keen to try them. I have to admit I’m personally a big fan of dried fruit and these BEAR nibbles smelt delicious. I’m always munching on dried fruits – my favourites being dried figs and dates (afterall they are a better alternative to crisps, right?) and I’m forever trying to find health(ier) snacks. I really liked the fruit nibble type ones but I found the granola nibbles a little too hard and dry though (be careful if you give the granola nibbles to young children, some of the nibbles were quite chunky). 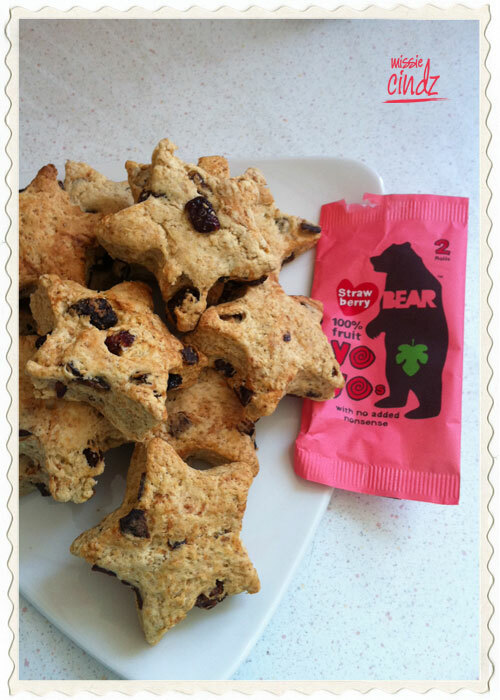 I know they are made to be eaten plain, but I used the BEAR Strawberry Yo-yo rolled fruits to make Strawberry ‘A’ Star Scones (a special Missie recipe – available as a PDF for you to download and make yourselves soon – I’ll let you know when this recipe is ready), just look at the photos above. These scones were deliciously sweet and moreish! I’m looking forward to trying a few more BEAR nibbles soon, the Peach flavoured Yo-yos seem the perfect companion in a Missie muffins recipe. I also tried the granola nibbles with milk for breakfast and with yogurt as a desert – it was so satisfyingly good! I much preferred accompanying these with something rather than eating them on their own. If any of you have managed to get your hands on some BEAR nibbles, let me know what you thought – it’ll be good to share recipes too! If you are a specialist, local or artisan food producer and would like me to sample some of your wares and promote your business (particularly useful if you’re just starting out), please drop me an email and I would be happy to review your product and you can become Missie Cindz Approved!